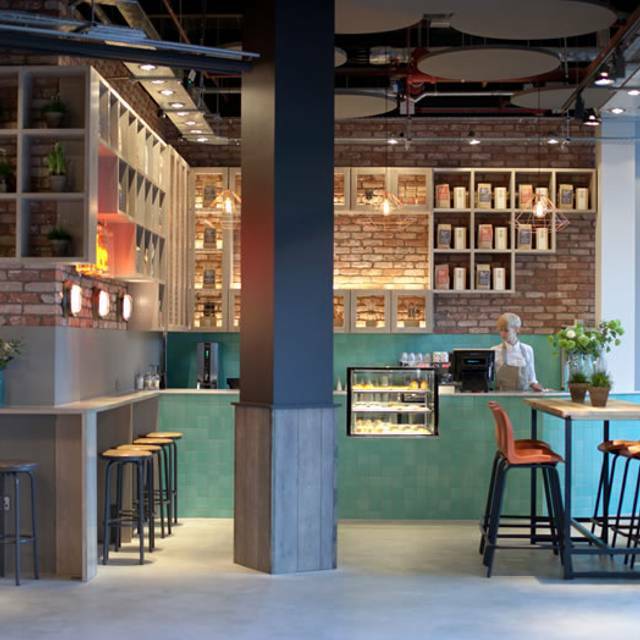 Whether it be fresh food, an enjoyable drink with friends or your perfect coffee. We offer them all from morning to night. Simple things. Done just right. 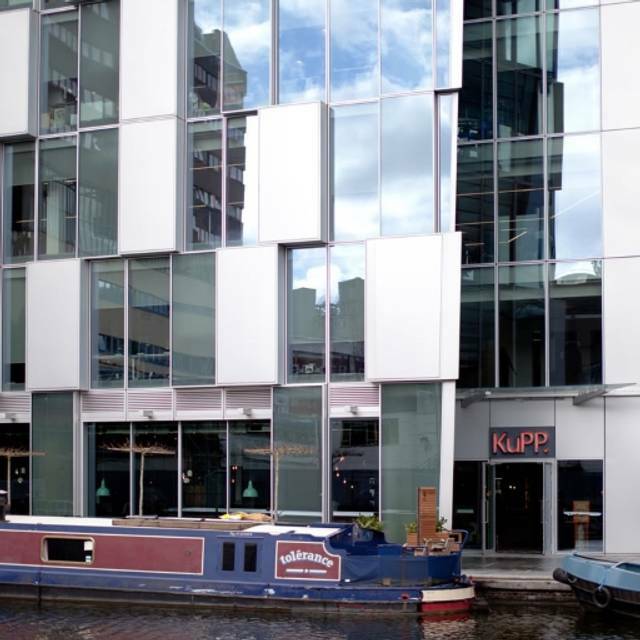 KuPP offers an in-office catering service. Please contact us. On street parking on various street in the Paddington & Paddington Basin area (W2). Closest street with parking is North Wharf Road (W2 1AS). These dishes work perfectly if ordering a selection to share. Alternatively, they work just as well as an individual starter. To share or not to share? These Salads are great to share or as a side to our oven & grill dishes. Add to your Salad: Smoked Danish Bacon / Smoked Mackerel - £3; Torn Roast Chicken / Smoked Trout - £3.50. To finish off our salads, we use a delicious lemon rapeseed oil dressing. Did you know that rapeseed oil has the lowest saturated fat of any culinary oil & less than half that of olive oil? Went for daughter's 18th birthday - she'd requested Swedish restaurant. Food was very good, but service was indifferent at best, and generally completely disinterested throughout. Table was booked for 8pm and at 9pm when we asked for the dessert menu we were told the kitchen had shut. Very disappointing. Great food and a nice ambience, lots on the menu I would still like to try. 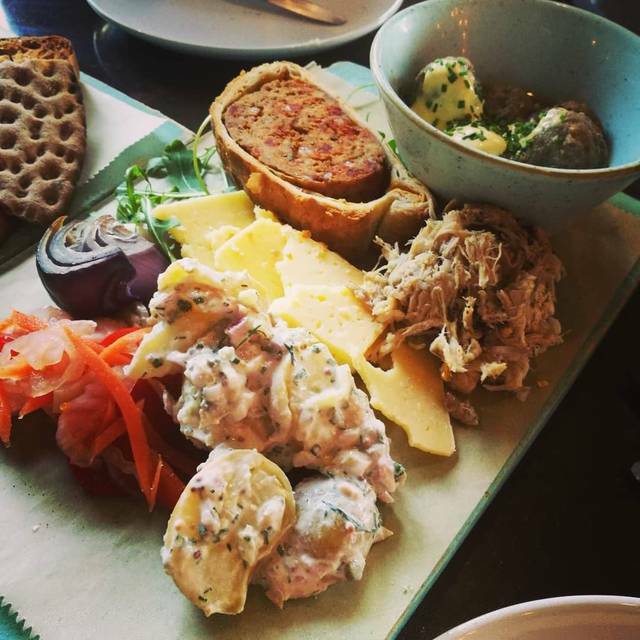 Went on Friday night for my father's birthday as he wanted Nordic food. Food was good and service nice, would recommend. I suppose the only thing is it was a little quiet for a Friday night; having said that it meant we could converse easily. 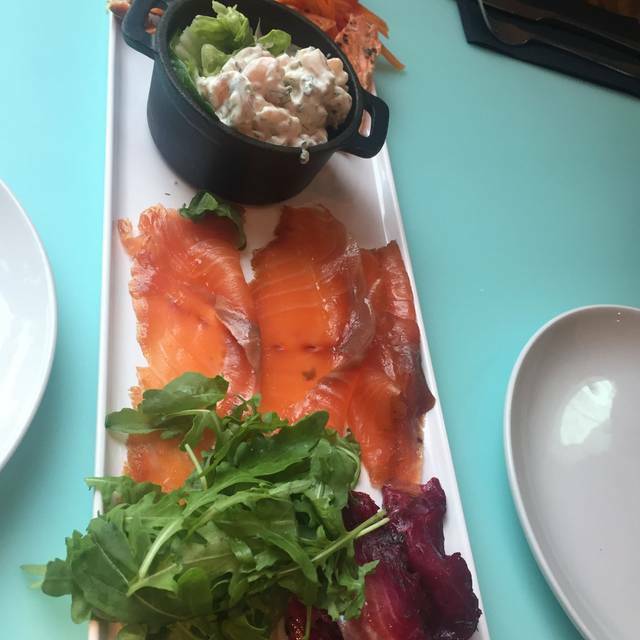 The only slightly annoying thing is we ordered the bread but had to ask for the accompanying condiments that were listed in the menu (Skyr and goats cheese and additional salt) - not sure why it wasn't given to us originally. But overall the food was good, the service pleasant and if you are looking for a reasonably wide nordic menu this is your place. Also, if you aren't into herring or seafood, there are plenty of meat or veggie options, so you don't need to worry about people not finding something they can't eat. Nice Skandi laid back atmosphere. The Guys were really understanding as part of our party arrived one hour later as they were stuck in traffic! Food is very good and they went above and beyond to cater for me with gluten and lactose intolerance, making sure I would only get safe food. 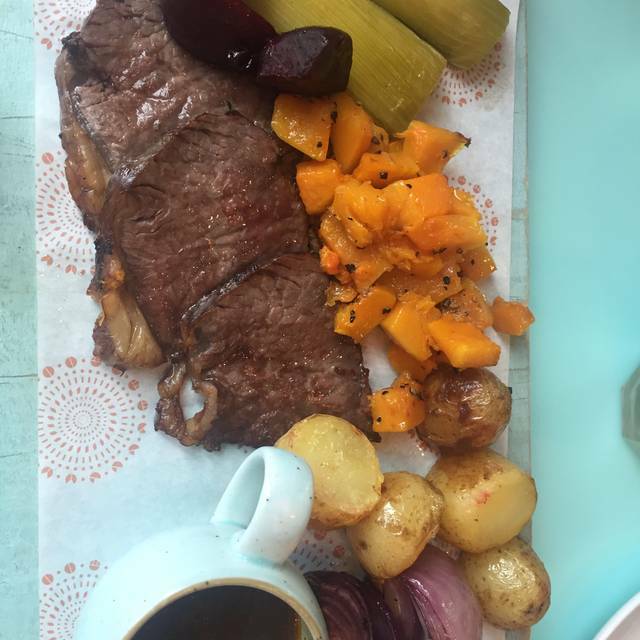 Lovely dinner at KUPP. Veggie Smorgasbord was superb. Service excellent - very attentive. Plus, great view of Paddington Basin. Would definitely go again. If you are looking for something slightly different from the norm, then this is a restaurant for you! We ordered the fish and veggie Smorgasbords and they were wonderful. The selection of fish was tasty and varied and ticked all the boxes, including all the relishes to compliment the different dishes. Lovely ambience being on the edge of Paddington Basin! I had a venison burger which was really well done and dry. The service was very good though. Had a lunch meeting with colleagues and an external. One of my colleagues is a big foodie and highly critical but really enjoyed here. Highly recommend it. I booked online prior to travelling and although I was expecting a 3 course meal with prosecco on arrival for £25, we were told this offer never existed. However, after speaking with the manager, he said he would honour the free prosecco and apologised for the confusion. After we ordered our food we were told that one of the mains was not sufficient enough of a portion to serve as a main but we could choose a side order as well to subsidize it or choose an alternative off the menu. We were beginning to think that the evening was a disaster but in all fairness, the staff were really helpful and accommodating and we could not fault the whole experience. 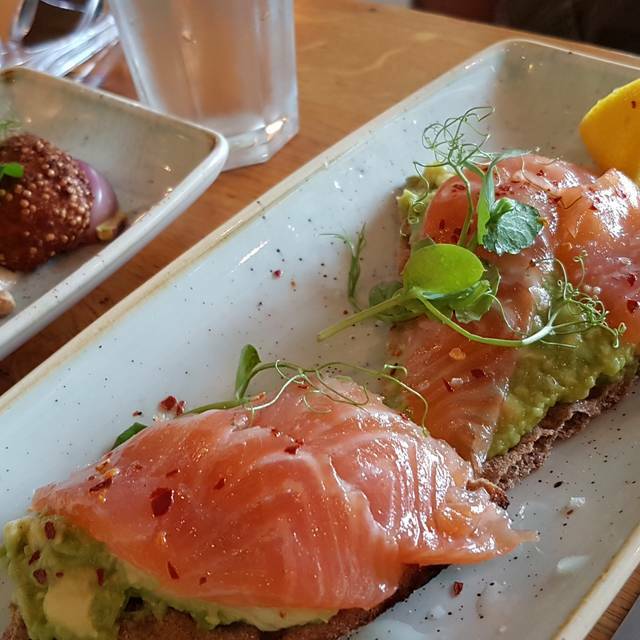 Great bottomless brunch, great food with a Scandinavian flavour. Staff really chilled and friendly and kept the prosecco flowing. They even let us finish our wine after they closed. The service is generally slow and unfriendly. They also don't bother to tell you what they don't have (which is always quite a lot) before you try and order it. On this occasion, we made a point of ordering our toddlers food as quickly as possible as it was well past their usual meal time. It didn't come for ages - and in fact the adult food came first - and then when I questioned this, I was told that the kitchen wouldn't start preparing it until they had finished the breakfast orders - so it arrived another 20 minutes later (by which point it was never going to get eaten). I can understand this as a policy, but, at the very least would expect to be told this at the point of ordering so that I could request something else. I love the location, space, and some of the food is good - but I'm not sure I'll return. We booked through OpenTable for 7:30 on Saturday night but when we arrived the restaurant had closed and the staff were standing outside. One of them approached us and said that they were closed because there was no demand on a Saturday night. When I showed her my booking she said that she'd tried to contact us in the morning to warn us but I had received no email, text or phone message. She said that she would email me the following day to put things right but I received nothing. I then emailed head office and have also heard nothing back. KuPP is a cool Swedish cafe/bar. The bar staff was friendly, even though it was super busy when we went (England /Sweden world cup match). We got awesome seats right in front of the screen, which is worth mentioning as some places simply ignore your requests via OpenTable. Drinks and food are priced fairly and the food is quite good. We were pleased to get a space given the football was on and the food, drinks, ambience and location were excellent. The manageress who met us was fantastic and was working hard to accommodate all on a busy day. Other service staff were a bit vacant - one bar man forgot to place part of our food order and there was very little attention around clearing tables etc. A bit of training and attention to detail would make it excellent. Portion size vs price continues to be a problem - expense account breakfast only. 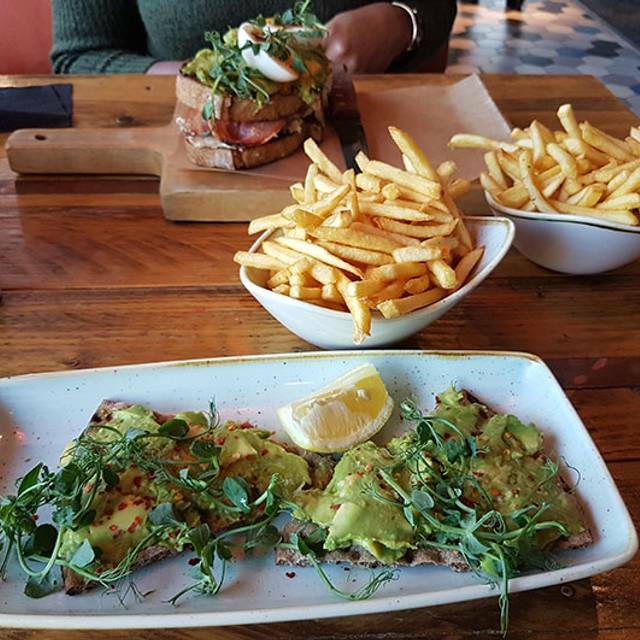 KuPP can always be relied upon for a great quality lunch with fresh, tasty, quality ingredients. 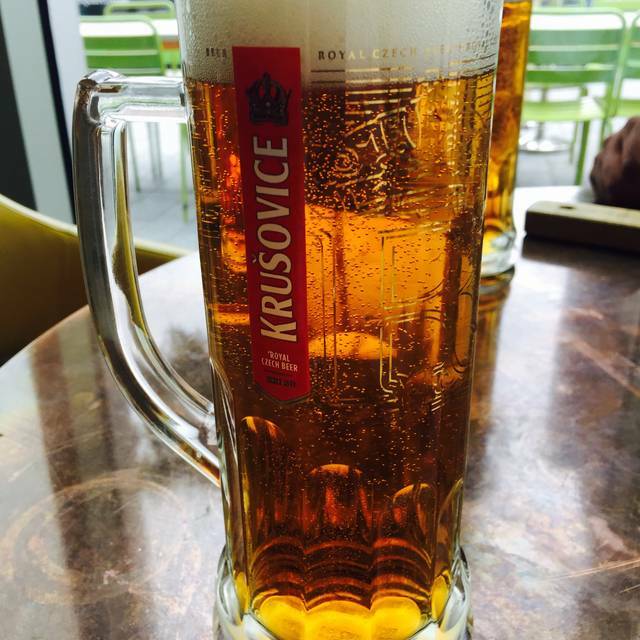 I miss the Krusovice beer that is no longer sold here. Decent location and average food, completely let down by poor service. Will not be going again. Adult food was very good and the menu had lots of interesting options, however the kids burger was burnt and bitter. We would have complained and sent it back but the service was so slow and we had a train to catch from Paddington so didn’t have the time. We won’t be coming back which is a shame as it has a lot of promise. Nice position and ambience. Food ok but nothing special. Some odd combinations. A bit slow. We went for the "bottomless brunch" not realising that the only thing bottomless were the drinks and only so long as you were happy to drink very watery Aperol spritz, mediocre prosecco or indifferent Kupp lager and this was restricted to 90 minutes. When we arrived we were informed that alcohol couldn't be served before 12 noon which meant that the 90 minute limit for us was reduced to 60 minutes - why would they take bookings starting at 10.00 am? We were offered coffee as an alternative but no-one remembered to tell us this would cost extra. About 35 minutes after arriving plates appeared at the table to be followed by bread, rationed to 3 slices each. Finally some food which was mostly OK except the quinoa, kale and butternut squash bites which were tasteless and under-seasoned. The goat curd dip failed to materialise. Overall the amount of food was quite meagre. Service was extremely slow throughout (but not, we observed, for other tables around us). Left feeling very disappointed and ripped-off. Wouldn't recommend. Kupp seems to be going down. Fresh orange juice used to be fab - no longer available. Coffee used to be excellent - now served in different vessels and no longer outstanding. I've been to Kupp many times and this was the worst. Great location on the Canal. Service times have let it down greatly in the past and this was my first time eating in over a year for that reason. Was better than it has been but still slower than it should be over a lunch period. Great place for lunch would highly recommend. Nice modern spacious and airy feel. Has outdoor tables by the canal. 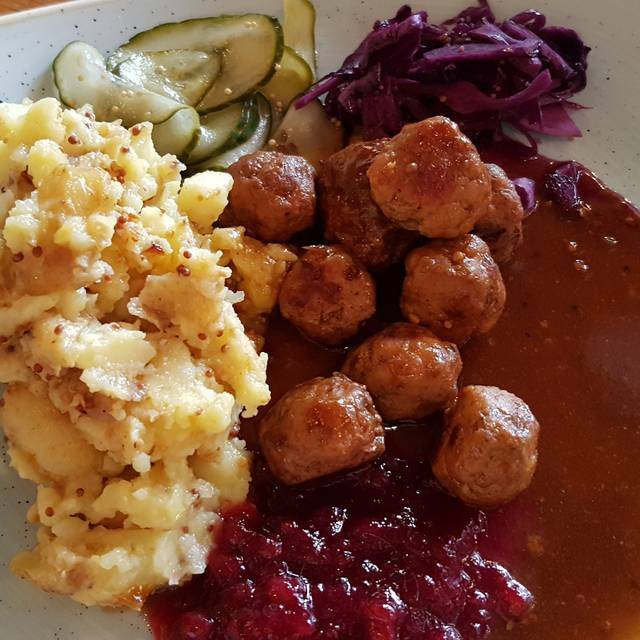 Food has scandi influence and portions were good. Service was poor though. Slow to seat us or even acknowledge we were there - inattentive and not following any order or pattern. Waiting staff were friendly though. Food was a little slow coming although we werent' in a hurry. The service was not good at all, we waited a lot for at the end just eat one meal and one dessert. I was told the bottomless brunch had to be specially requested, which was not made clear anywhere. and 2/5 of the desserts were unavailable. Service was very slow and inattentive. My tea arrived cold as did my brunch order. The avocado was almost frozen. Really disappointing. I cannot review this place because when we turned up for our 19:00 booked table on Sat evening the place was closed and had been closed for an hour!!! Really poor customer service and attention to a table who had opted for bottomless brunch. The basics (i.e bread) were missing from our smorgasbord, and despite discussion of it being rectified, it was ignored till the end of the meal. Really disappointed - we'd been quite looking forward to this. I've eaten at quite a few brunch venues and this isn't one I'd recommend to friends. Despite going inside when we arrived to say we wanted to sit outside, we were completely ignored. I had to go indoors to order drinks and place food order. Not ideal especially as I’m heavily preganat and my friend has a baby. Considering it was a quiet Tuesday lunch the salads took 45 mins to arrive. Booked a table trough opentable for the 30th of march 2018 planned to have a birtday dinner for my sister. But when whe arrived the resturant was closed.. Despite being a miserable wet Good Friday afternoon, Illana made sure my friends and I were treated extremely well!! Lovely venue and great value happy hour, will definitely go back and try again in the summer to fully enjoy the venue!